On 1 June 2011 Danish Professor Dr. Thomas Sunn Pedersen took up his appointment as new Scientific Fellow of Max Planck Institute for Plasma Physics (IPP) at Garching / Greifswald as the head of the Stellarator Edge and Divertor Physics Division. 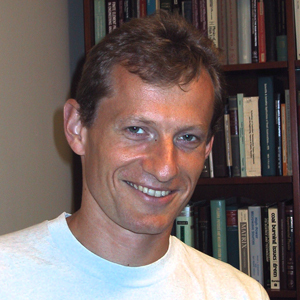 Professor Pedersen, who moved to Greifswald from Columbia University, New York, has already gained recognition in the field of experimental plasma physics and fusion research with important and original work: Besides his studies on plasma instabilities, particle transport and turbulence in fusion plasmas, he has been concerned with quite different types of plasmas, viz. non-neutral plasmas. He was first to succeed in magnetically confining an electrically non-neutral plasma, even a pure electron plasma. For these fundamental investigations he designed and built an ingeniously simple magnetic field configuration of the stellarator type, the Columbia Non-neutral Torus (CNT). The objective of fusion research is to develop a power plant that, like the sun, derives energy from fusion of atomic nuclei. The fuel used is a low-density hydrogen plasma. To ignite the fusion fire the plasma has to be confined in magnetic fields without coming into contact with the vessel wall and be heated to temperatures of over 100 million degrees. The Greifswald branch of IPP is at present building the Wendelstein 7-X research device, which on completion will be the world’s most modern and largest fusion device of the stellarator type. At IPP in Greifswald Professor Pedersen is to establish a scientific division concerned with the important edge region of the plasma: This separates the hot plasma core from the cooler vessel wall. Interaction with locations where the plasma comes into contact with the wall is controlled with magnetic fields and specially equipped wall areas, the so-called divertor. Its purpose is to safeguard the plasma from being cooled by impurities ejected from the wall and, conversely, protect the wall from excessive loading by the hot plasma. Professor Pedersen has already been supervising production and testing of the divertor components for Wendelstein 7-X at IPP in Garching since the beginning of the year. Professor Pedersen will, however, also be frequently appearing at Garching for another reason: Until Wendelstein 7-X goes into operation in 2014, he will be using the positron source at the Technical University of Munich’s FRM-II research reactor to produce an electron-positron plasma and confine it in a small CNT-like stellarator. It has hitherto not been possible to produce a plasma composed of electrons and their anti-particles, positrons. Such plasmas composed of matter and anti-matter hold promise of extraordinary properties. As it is assumed that these plasmas occur in Nature in the vicinity of neutron stars and black holes, it is of interest to both basic research and astrophysics to investigate these odd plasmas.